A dental emergency can occur at any time and without warning. You have immediate care available when your teeth experience trauma. Broken teeth or a sudden toothache are occasions when you need immediate care. 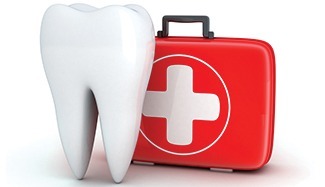 Emergency dentistry helps prevent further damage to your teeth or gums. The causes of your mouth pain can vary. You have relief options available that include an in-office procedure or a prescription anti-biotic that you can take prior to your scheduled appointment. The goal of emergency dentistry is to save your teeth and gums from further damage or risk. If you’ve experienced a broken tooth, you can potentially save it by placing it in water or milk before arriving at our office. Contact your Palm Beach Gardens emergency dentist, Dr. Alvarez, immediately if you have experienced dental trauma. Ask us about any necessary actions you can take prior to arriving for your appointment. At Natural Smiles of the Palm Beaches in Palm Beach Gardens we accept all emergencies and we are open Five Days a Week instead on the customary Four Days a week including Saturdays.